Financial services marketers who are driving phone calls from digital channels can’t afford to ignore what happens once the call is made. If you don’t know how your efforts generate calls, who’s calling, or what’s happening on those calls, measuring ROI and making optimizations is just a guessing game. The results speak for themselves. 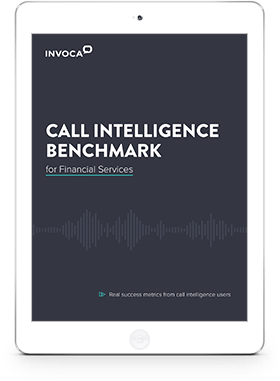 To see how it’s done, download your copy of Invoca’s Call Intelligence Benchmark for Financial Services.